Winner of the Silpat Baking Mat: Margie Visnick, who won by subscribing via email. On February 10th, 2007, I published my first post here at Pennies on a Platter (Oreo Truffle Bombs.) When February 10th this year was approaching, I was excited to plan out a giveaway for you, but my web host had other plans and decided to crash my site instead. 🙁 So, a month later, here I am celebrating with a giveaway. Better late than never, right? When I first started this website, my blog was hosted on Blogger and I had no idea what I was doing. But, I did know that something sparked inside of me when I took pictures of my food and wrote about it, so I had to continue doing it! My purpose at that time was to share the recipes I made with my friends and family, and not necessarily to the whole mass of recipe-hungry people who log on to the Internet every day. Actually, that wasn’t even a slight thought of mine. I didn’t really know what a food blog was and how it worked, but, little did I know that I would soon find out and keep this hobby going five years later. Many life changes have happened since I started this journey. We moved across country twice, our family of two became three, and I even quit my full time corporate job. I went from being a student’s wife, to a pastor’s wife, to now a professor’s wife. Through some of these events, I experienced temporary breaks from blogging, but always came back to it because it’s what I love. One of the reasons I love blogging so much has to do with YOU. The very fact that other people outside of my friends and family visit here just makes me smile. Five years ago I would have never guessed that someday my little blog would reach tens of thousands of visitors each day. Never in a million years did I think what I had to say would be even slightly significant to develop a following. But, here you are, and I love it. You rock my world. I want to thank you for your loyalty and readership through out these five years with a big giveaway. In honor of my five years of blogging, I decided to round up five of my favorite kitchen tools and send a brand new one to five of my readers! It was somewhat difficult to narrow the list down to just five, but these are significant in that they are items that I’m not sure I would have ever known about if it wasn’t for entering this food blogging world. And, now that they are on my radar, I could never live without them. They are items that you might never purchase yourself, and would miss out on the wonderful help they are. And, they will assist you in making some of the recipes here on the blog. I thought about giving all five items away as a package, but decided that it would be more fun to spread the love and have five winners. So, each item will go to a different winner. There are four smaller prizes, and one grand prize. Are you ready? 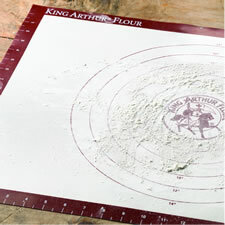 King Arthur Pastry Mat – I use this for all of my doughs. It is so much easier than fluffing out a bunch of flour on the counter and then cleaning up the mess. Plus, the ruler on the sides and the measured circles are great tools for rolling your dough to the perfect size. Unfortunately, the one I have and love is no longer available, but I’m confident this one from King Arthur Flour is great, too. 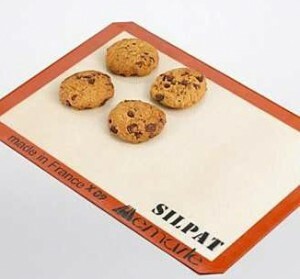 Silpat Baking Mat – Stop wasting so much parchment paper and make use of a silicone baking mat. I will admit I still have parchment paper on hand at all times, but having at least one baking mat cuts down on your parchment use immensely. It’s reusable and easy to clean. 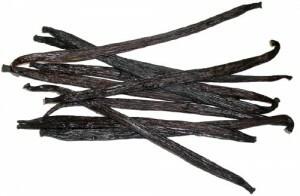 1/4-lb Package of Vanilla Beans (approx 27 beans) – You might think this is a strange thing to give away, but I beg to differ. If I was entering this giveaway, aside from the grand prize, I would hope to win this particular item. Vanilla beans can be so darn expensive, so I know many of you avoid using them, which means you avoid recipes that call for them in the ingredient list. I love this seller on Amazon who provides quality beans for a great price. Use them to make ice cream, vanilla extract, and much more. 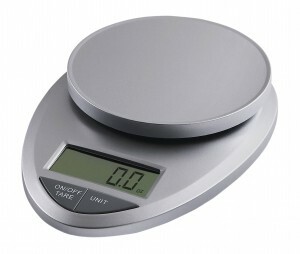 Kitchen Scale – It took me a while to invest in one of these. Surprisingly pretty inexpensive, kitchen scales are a necessary tool if you want to be precise in your baking and/or measuring. I use this most often when shaping dough into equal portions, or when a recipe calls for weighing ingredients. This particular one I love because it doesn’t take up much room and is very straight forward on its use. 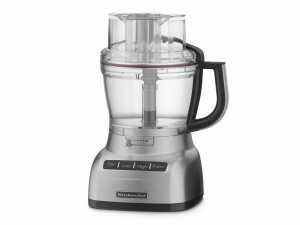 KitchenAid 13-cup Food Processor! (includes 3 bowls, ultra wide mouth, ExactSlice System, dough blade, slicing disc, storage container) – I didn’t have a large food processor until after Judah was born in 2009, and even then my sweet friend bought it for me as a baby shower gift since I had intentions to puree baby food with it. Best.gift.ever! I now use my food processor multiple times a week. A food processor is an expensive kitchen tool, but one that I think every home cook should invest in. You can make a wide range of recipes in it from salsa, to homemade tortillas, to baby food, to hot chocolate mix and of course more! What recipes do you hope to see on Pennies on a Platter this year? If there is an item above that you do NOT want to win (because you already have it, but you want the chance to win the other items) then please tell me which item(s) you do NOT want within the body of the comment. Comments are moderated, so if you do not see your comment right away, please wait a few hours as I need to approve each comment before they appear on the site. Subscribe to Pennies on a Platter by RSS or email. Return to this post and tell me you subscribed by leaving an additional comment. Become a fan of the Pennies on a Platter Facebook page. Return to this post and tell me you became a fan in an additional comment. Follow Pennies on a Platter on Twitter. Return to this post and tell me you are following in an additional comment. 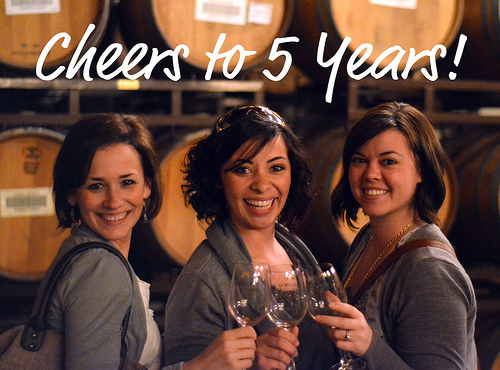 Tweet the following “RT @penniesonaplatt Cheers to 5 years of blogging with a KitchenAid food processor giveaway! http://bit.ly/wiiOVd” Return to this post and tell me you tweeted this in an additional comment. The five winners will be chosen randomly by Random.org and announced at the top of this post during the week of March 12th. Each winner will receive an email from me and if no response is received within 5 days, new winners will be chosen. This giveaway is entirely sponsored by Pennies on a Platter. I would love to see healthy, but yummy recipes that can appeal to the whole family… I’m always a fan of muffins, stews… oh gosh, I love it all! I would prefer not to win the silicone baking mat or the vanilla beans :). I want to see quick easy dinners because I have two little ones under foot and need to get a tasty dinner on the table with little fuss. I have/use/love all the above tools except the food processor. I don’t know how I manage without one but would love to win one! Thanks. I would like to see some homemade crackers. The soft fall apart kind. I already have a scale and mats. Congratulations on your blog birthday. i would like to see recipes soups or stews containing barley, one of my new favorite ingredients. I would love to see more chocolate dessert recipes! I do not want to win the silpat or pastry mat. Thanks! I’d like to see more pasta recipes and vegetarian recipes. I already have the silpat and pastry mat, so I would not want to win those, but the other three sound great. I’d rather not win the vanilla beans, simply because I’m in and out of the country and couldn’t use them before they go bad. I would like to see more Cajun/Louisiana inspired meals. I would also like to see more quick and easy and/or Crockpot recipes. 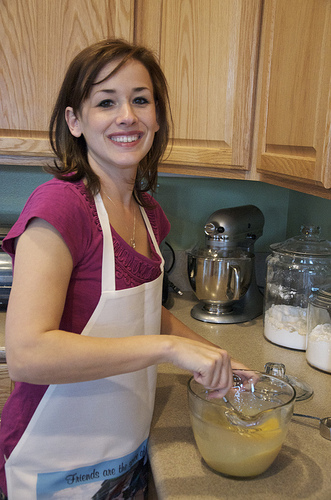 Working shift work as a nurse makes it difficult to create intermittent skilled recipes. Thanks and I’m looking forward to seeing many more great recipes, tips and ideas. I subscribed to Pennies on a Platter via E-Mail. Love your blog. I would like to see recipes that diabetics can eat because my husband became Type 2 two years ago. I do have a food processor so omit my name for that prize. Wonderful tools, aren’t they? I already subscribe to your blog through my blogger dashboard. I quit FB a month ago because it was “owning” me. I don’t tweet. Keep up the great work on here. I forward lots of your posts to my family members. That first picture of you is so fun! I am so proud to say that I’ve been following your blog since the beginning. Way to go, girl. Do you have a recipe for whole wheat tortillas? I’d like to see that on the blog. Again, congrats. …and I follow you on twitter. Congratulations on your 5 year blogiversary! How exciting! I’m a relatively new reader, but I would love to see your favorite gumbo recipe. I’m a huge gumbo fan! Also, I’m currently eating vegan for awhile (just to try something new) so maybe more vegetarian options? I just “liked” Pennies on a Platter on Facebook! I just followed Pennies on a Platter on Twitter! Thanks for the fun giveaway and wonderful blog posts! Congratulations on your 5 years of blogging! I love your blog. You do such a wonderful job. I am excited about your giveaway. I would love to win any of the items you are offering, especially the food processor as I have never owned one. It would make a lot of things so much easier & quicker to prepare. My husband & I are “empty nesters” now, and I find I am having some trouble with cooking for 2 without a lot of leftovers. Any help in that area on your blog would be great. But, most importantly, just keep doing what you are. God Bless You! I subscribe to you through both email and RSS feed. I want to make sure I don’t miss a thing. God Bless You! I am a fan on facebook. My face book name is Rhonda Keely Darbro. God Bless You! I don’t use Twitter, so unfortunately won’t be able to do the last two entries. God Bless You! I woul love to see a recipe with hamburger in it. Anything works! Steak is expensive, and I am always looking for hamburger recipes! I already subscribe to your email! I love it! I love your recipes! Congrats on five years 🙂 I have all of the items except the vanilla beans and king Arthur mat. I would love those two items!! I love your fast dinner recipes. Liked you on Facebook. Is that how I become a fan? Your blog is great! I appreciate good food that doesn’t cost a fortune to make! I already have a sweet food processor, don’t need that! But this is a great giveaway! PLEASE.PICK.ME! I would love to see some meat loaf recipes this year as I haven’t found a really great one. I hope to see you make more traditional Southern food! Living in Canada, it’s not a cuisine that we see often and it’s definitely hard to discern what is good southern food and what is not (not to mention what is delicious but also not horrible for you!). If I win, I would prefer not to win the silpat or the scale, as I already have each of these items and love them as much as you do! I hope to see you make more traditional Southern food! Living in Canada, it’s not often that we see this cuisine and it would be great to get some variety 🙂 It’s hard to discern what is good and what is not since I don’t really know (nor have I visited) the South! If I win, I’d prefer not to win the sipat or the scale, as I already have these items and love them too! I would love to see more appetizers as I am involved with fundraisers that use a lot of those, and I am always looking for new recipes for them. I love that you post lots of savory recipes. So many blogs post just desserts. Would love to see anything buffalo chicken featured!! I follow this site through email. Thanks for the chance to win something wonderful. I hope to see more egg recipes…frittata, strata that type of thing. Great for emptying out the fridge leftovers. I already have a scale, vanilla beans and a pastry mat. ^_^ But I’d love to win the other two. I subscribe by email to pennies on a platter! Since I moved out of Texas last year and you are now living in the south, I would love to see some more of your local flavors, but I love everything you post! Thanks for the giveaway and here’s to another great 5 years! Congratulations on your five year anniversary! I really enjoy reading your blog, love the diversity of your recipes. I’d love to see brunch type recipes–brunch is my favorite meal to entertain with! Wow! Happy Birthday! I have been searching for a really good Black Walnut Layered cake without any luck. Congratulations on 5 years! I love when you post every-day type recipes, like the recipe for cooking rice. I would love to see more recipes like that- things to make my daily or weekly cooking easier. Oh…my husband hates vanilla (gasp! I know! ), so if it isn’t too picky, I would rather not have that- if I win. 🙂 Thank you. Congrats on 5 years! I’d like to see more breakfast recipes, dessert, too. I’m pleased with pretty much anything that looks delicious! I already subscribe to RSS. I love your blog…your frugal recipes that taste expensive are right up my alley. I’d love to learn more about Indian and Thai cuisines…frugally and easily of course. I need sort a Dummies Guide to Thai and Indian food since I don’t know where to begin. I’d like to see, homemade, inexpesive, family freindly meals using ground turkey. I stumbled onto your blog page and subscribed to your newsletter. I can’t wait to see what you have new going on! I love recipes and the cookbooks they come in. I have quite a few cookbooks and just can’t seem to say no to a new one! My husband and I are both diabetics. I would love to see some recipes that are geared toward diabetics. From what I understand, more and more people are having this issue pop up in their lives. Thank you again for your wonderful site and the commitment that you have to your blog! I can’t wait to see what is next! I am following you on Facebooke. I subscribed to your blog via rss feed the first time I found a post…via stumbleupon I think it was. I’ve been a fan ever since! I am following Pennies on a Platter on Twitter. I would love to see you do something using Biscoff spread as a main…maybe try something savory with it? WOW congrats on 5 years. I would love to be entered in the contest. I would love to see heart healthy yet yummy recipes as that is a new lifestyle we are committing too after the husbands almost heart attack scare. We live in southern Ms, so cajun n seafood are large parts of our diet as well as my penchant for “soul country” which is so not heart healthy. Ive been subscribed to your blog since the first day I found it, you are one of three food blogs I see every time I open my explorer or return to the homepage. Congrats on 5 years! Love the blog. I like both sweet and savory dishes, so anything is good with me! I like both sweet and savory, so anything would be great! Congrats on 5 years!! I always love to see inexpensive, healthy recipes! They are all wonderful prizes- the only one that I would not want to win is the scale, because I already have one. Thanks for the opportunity! I subscribe via email already! Congrats on 5 years!!! I would love to see more breakfast recipes. Congrats! I hope to see more party appetizers- I am always looking for some good ones! I love your recipes.. and you have so many.. it is a little hard to choose what I would like to see that you haven’t already done.. I would love to win ANY of the prizes- although the Food Processor would sure get used a lot in my house as it is lacking one! Congratulations on your 5th Anniversary! I look forward to all your entries and have tried many of your ideas and recipes. May you have many more years of success. I would like to see more bean recipes. I have tons of canned beans and don’t know what to do with them. 3) I subscribe via email. 4) I subscribe via email. Happy belated 5 years, Nikki! Time sure flies, doesn’t it? Seems like it was just yesterday we were all newlyweds on The Nest! I always adore your Mexican recipes. Always love to see more of those. Great giveaway too, thanks so much! I follow Pennies on A Platter via e-mail. Congrats on 5 years. I am a fairly new reader of yours (only about 6 months now)and you always surprise me with new ideas for things to try, so I don’t have any ideas for what I would like to see, because I enjoy the surprise of what you come up with. Oh and I now have you in my RSS. i would love to see more easy week night recipes and crock pot recipes for all of us busy mommas!! I also follow you on twitter & posted your link. What about some recipes that would be good for cooking with kids? I can’t wait until my little one is old enough to “help” me in the kitchen! I would like to see some crockpot recipes. My family is always on the look out for yummy easy slowcooker recipes. Fried pickles! I tried them a year ago, and they’re delicious! I have already been a fan on Facebook! I am now following on Twitter! I liked Pennies on a Platter on facebook! I like you on FB and left a comment. i love the ideas on how to feed my family! cooking food that is good for them but fits our budget is sooo helpful! keep ’em coming!!! I would like to see a lineup of low calorie desserts. Thank you for having an option on this giveaway.id prefer the mat. We love comfort food from chicken and dumplings to cobblers….always love to see new recipes for old favorites! Nikki – I really don’t have any requests about any particular recipes that I’d like to see. I love everything that you do. Actually I would love to see how you involve Judah with your cooking. I’m always trying to get my kids involved but if a recipe doesn’t have chocolate chips they lose interest pretty quickly. Plus we’d see more photos of that adorable boy. I’m already a subscriber via email. I would love to see quick easy meals that are healthy and kid friendly. I subscribed by e-mail and am already a Facebook Fan. I’ve been a fan of Pennies on a Platter on Facebook for a while. I would love to see healthy recipes or make ahead/freezable recipes. I already have a silpat mat so I don’t want to win that. Congrats on 5 years! Keep the same old deliciousness coming! Congrats on 5 years! The only thing I wouldn’t want to win would be the scale since I already have one. Thanks and congrats on 5 years! What recipes would I like to see? I love kid friendly breakfast recipes. That you can freeze and pull out for the kids to eat before school. If i had to pick one item I don’t want it would be the vanilla beans and that is cause I wouldn’t even begin to know what to do with them. I would like to see Gluten free recipes and meal ideas. I would Love the food processor. I subscribe to your eamil and LOVE it. Congratulations on 5 years! I love your blog and easy to follow recipes. I would love to see more recipes for quick dinners and appetizers! I “liked” Pennies on a Platter on Facebook! I rarely use Twitter but for you I’ve tweeted about the giveaway. I subscribed to your blog via email several days ago and LOVE IT!! Congrats on 5 yrs & thanks for sharing your life with us!! I would love to see anything involving pasta. I’m a sucker for pasta. I would love to see more low-carb ideas… I’ve pretty much worn out all my favs and need some new ideas! Thanks! I have none of these items! I enjoy your posts on facebook and would like to see kid friendly recipes for kiddos who don’t like to try new things! Thank You! I would love to see some dishes with vegetables and fruits that are not commonly used. Some suggestions are turnips, starfruit, parsnips, etc. I see all these vegetables and fruits in the produce section but I never know what to make with them! In addition, I’d also like to learn some easy Indian and Chinese dishes. I “liked” your Facebook page!! Congrats! Recipes for the slow cooker would be nice! I just registered to subscribe with my gmail…as I already have my AOL set up. I am now following you on Twitter!! Congrats on 5 years! Hope to have you blogging for many many more! I would love to see healthy & tasty yet inexpensive meals if that is at all possible! It seems healthy sometimes equals expensive! Some more one pot or croc pot meals would be great too! I follow you via RSS and I like you on Facebook. I already have a Silpat baking mat and a pastry mat. Thanks for the great giveaway! I would like to see low calorie recipes with nutritional information added. I would like to see great grilling recipes for the summer and summer time treats. Congrats on 5 years! I would love to see some fun breakfast/coffee date ideas. Best wishes! More toddler friendly recipes. Our kids are similar in age and I would love to see what you have for dinner that he will eat. I follow you on twitter and am a fan on FB. I already receive your emails. Love them! It seems that you send out just the right recipe within a week of when I am needing something new! I would like to see some dinner recipes that are vegetarian. I would like to see heart healthy recipes that I can apply to my regular routine of trying to eat healthier this year. I’d like to see more healthy dinner recipes! I already have a pastry mat and a kitchen scale. I am now officially a fan on facebook! Why I never thought of that before escapes me! I also subscribe to your blog by RSS feed. I just liked your page onb FB! Look forward to many more great recipes. Thank you! I would love some crockpot recipes! I am always on the search for simple recipes for the basics – things like roasted vegetables and other simple side dishes. And sauces!! I like to try different homemade sauces because they go great with pasta, chicken and other entrees! Mostly I love tips and tricks that can be applied to multiple dishes, for instance once you know how to roast asparagus, the same method can be applied to so many other veggies like tomatoes or red peppers! Happy Anniversary! I love this Blog! How about a cinnaman roll cheesecake? The best of both worlds! I am trying to use my crock pot more so I’d love to see more slow cooker recipes. Congrats on 5 years!! I love quick and easy weeknight recipes, so I would love to just see more of those! Keep up the great work! I would like to see some simple but inventive appetizer ideas. For me, that’s the most difficult part of hosting a dinner party! I love your blog and congratulations on 5 years! I subscribe to Pennies on a Platter via RSS. What I am looking for in recipes is something that works with a busy and exhausting work schedule, AND varying eating schedules. I have not found a lot that I like from a slow cooker and would like to see something new to try there. Also, “make ahead” recipes would be nice. I can spend all day Sunday cooking and preparing for the weeks meals. What is easy to make ahead and serve with a fresh taste? I already have a pastry mat silicone baking sheet! Congrats on your B-day! I’ve subscribed via RSS feed! Looking forward to some more recipes! I signed up through email. I would love to see more Crockpot recipes. working Full-time does not give me time to cook like I want to. Love your site. Great recipes that are easy to make. Liked you on FB!! Can’t wait to take part of the community! Followed you on Twitter! Perhaps my favorite social medium! Retweeted your post! Dreaming (and drooling) over the possibilities with all of these items! I am a “newer” blog follower, I follow you & three other blogs: 3 recipe blogs & one artist’s blog. 2 are from France, 2 are from the US. When I open your blog I think I would love to see any recipes involving healthy, “whole” or “super” foods. I know they are what I need to add more of to our family’s diet! I’m great with a cream or sugar based treat, but I can be the Mom who forgets the fresh veggies & fruits with my busy career. We always try new main course dishes for dinner, but maybe I should try recipes that are more heart healthy and become more of a “fresh” chef! How would I use blueberries & basil to entice tastebuds more than cheesy flavored starchy veggies (my all time faves.) Congradulations on your long, successful & fullfilling blog experience. Great giveaway! I’d love to see more freezer friendly recipes, things I can make ahead when time allows and then have for rushed evenings. I have a nice digital kitchen scale and vanilla beans, but would love to win any of the other prizes. I’d love to see more easy, fast weeknight dinners- or crockpot dinners! I’ve also been a fan on facebook for quite some time now. I love your tutorials (esp of the cupcake variety :)!) I would love to see more of those. Plus you are so good at explaining things in a way that is easy to understand! It is always helpful and encouraging to see someone else preparing a recipe that you want to try! And I just subscribed via Google Reader. I would LOVE to see a recipe for gyros, including the tzadiki sauce that never never turns out for me at home. I would love to see date night meals! I followed you on twitter!! I would love to see more quick and easy recipes that younger kids would enjoy. Your prizes sound great, thanks for doing the giveaways. Happy birthday! I’d love to see some family dinners that appeal to my 18 month old! Congratulations on 5 years of blogging! I’d love to see more recipes for the slow cooker. I already have a kitchen scale, which I love. I can’t believe I waited so long to get one! I would love to see more crockpot recipes! I am subscribed to your emails! I would love to see some one pot meals. I would not like to win the kitchen scale, I have one already. I would love to see more recipes using beef/ground beef. I always struggle to think of creative and yummy ways to use it. I also do not want to win the pastry mat, vanilla beans, or kitchen scale (already have all of them in my kitchen!). Thank you for all the awesome recipes! and I “liked” your facebook page! I would love to see a lobster dish!!! Lobster intimidates me just a little bit! I would like to see even more recipes that are inexpensive,delicious and nutritious!!!!!!!!!!! I would love to see some one pot meal recipes or crockpot recipes. Healthy, yummy and budget friendly recipes!!!! I subscribe to your feed via reader! Love, love, love Pennies on a Platter…it’s the first site I check before heading to work and one of the lasts before calling it a night! I would love to see more restaurant inspired meals, like the Med Pizza you featured not too long ago. Quick and easy breakfast ideas!!! I would love to see quick hearty breakfast recipes – ones the kids can eat on the way to the bus stop if necessary – but that don’t make me get up 3 hours early to get them fed 🙂 Would also love to see some other culture’s food – we are adventuresome! Congratulations! I visit your blog daily. Thanks for the opportunity. I’d love any f the gifts about except I don’t usually make my own dough, so the pastry mat would be better off with someone else. Thanks! I would love to see more recipes for some super quick meals. After a long day at work I really don’t want to cook at all. Love, love, love Pennies on a Platter! It’s the first site I check in the morning before heading to work, and one of the last before calling it a night. I’d love to see more restaurant inspired meals, like the Med Pizza you featured not too long ago. Congrats on five fabulous years! I would like to see quick and easy to prepare dinners. I would love to see more budget recipes!! Times are tough and I’m a full time caregiver of husband with brain cancer!! I’m always trying to find economical recipes! I would love to see more new ways of preparing pork dishes and perhaps a variety of cultural dishes using pork. I have pinned your link on my pinboard and subscribed to your newsletters via email. and I liked the FB page! I would love to see meals that don’t require a lot of time to pull together but sill have lots of flavor. Follow you on twitter. Also – don’t need the scale – just actually bought one. I would like to see some “make ahead and freeze” recipes, especially ones that are healthy. It makes the single-mom-constantly-on-the-go life much easier! Thanks for your blog. I really look forward to seeing what’s new! I’d prefer not win the scale because I just bought one! Thanks! Retweeted! 🙂 Also – don’t need the scale – just actually bought one! And I just subscribed by email – what a good idea! Cheers to 5 years of blogging!! Thank you for sharing your amazing gift with us 🙂 I would love to see more healthy recipes and maybe more brunch recipes. Fantastic giveaway! I would like to see some no sugar desserts. We avoid refined sugar at our house, but we love things like maple syrup, honey, and fruit juice as sweeteners! I have loved every recipe I have tried. I am going to try and make pretzels and tortillas (at least) this year. And I already subscribe to your blog. I always love dessert recipes especially ! Creative cupcakes are always fun to try and I bet they will turn out fabulous ! I haven’t jumped on the Quinoa band wagon yet but I’d love for you to convince me with some new quinoa recipes! Love following you! Started following you on FB = why wasn’t I doing that already?? Started following you on Facebook! I don’t know about specific recipes but I would love to see more vegetarian recipes, especially ones that can be made ahead and frozen for later. Great site, though. I check for new posts daily! And am now following you on Twitter! Congratulations on 5 years! I applaud you for keeping up the good work. I am subscribed via email to your blog. I am now following Pennies on a Platter on Twitter! I would love to see some more easy meals! And any of the prizes would be awesome! I’d LOVE to learn how to make sushi. 🙂 pretty please. While searching for a perfect chocolate chip cookie one day, your little link popped up in Google. I had never read a food blog before, but now I’ve been hooked ever since!! Your perfectly puffy chocolate chip cookies are to die for! I would love to see more cookie recipes (although, I know there are quite a few on your blog already, my husband is a cookie fiend!) or anything else really. I love all the food you make, and because of that, my palette has grown quite a bit! I am now a fan of Pennies on a Platter on Facebook! I never get tired of quick, simple recipes that include chocolate, great for a sudden dessert craving. I’m a fan of Pennies on a Platter on Facebook, congrats on 5 yrs! I just need new dinner ideas in general…I feel like i’m in a rut! Thanks! I would love to see some more posts that are easy for a kid (even a toddler) to help prepare (and eat). Congrats on 5 years! Love your blog! Congratulations, girl! I would love to see some crockpot recipes!!! I heart my crockpot and if I could, I would use it every day for a meal! I’d love to see some more vegetarian recipes! I would love to see a recipe for those wonderful melt in your mouth wedding/baby shower mints. I think they were made in rubber molds with various shapes. My grandmother always made them for baby showers. They are such a wonderful childhood memory and I would love to know how to make them for an upcoming shower. I am new to your blog, but have enjoyed it very much for the past few months. I have a scale, silpat mat and pastry mat. I have gotten addicted to slow cooker recipes. And I love making fresh salads with ingredients from a farmers market. Thanks for your blog and the giveaway! I love to see good one-pot meals, stews, casseroles, etc. Thanks for sponsoring the contest. The prizes are lovely, but I don’t need the pastry mat or the kitchen scale. I am now subscribed to your feed. I would be greatful for any prize won. I don’t have any of the prizes. Thanks for your consideration! As a fellow pastor’s wife, I’m always looking for something good to take to church potlucks. I subscribed to by email 🙂 What wonderful prizes!!!! i would love to continue seeing family-friendly budget-friendly meals! 1. Food processor- I’ve never owned one! 4. Vanilla beans- so yummy!!!! countdown: 2 weeks and 1 day! I am a Face book Fan! Yes I even tweeted the tweet you listed above! Have an amazing day everyone! I subscribe to Penniers on a Platter by email. I think you already supply a great variety of recipes but if I had to chose 1 thing- perhaps more “different” out of the box recipes. Maybe more ethnic recipes, recipes from the region you’re currently living in, or just something totally different that you think we should try! 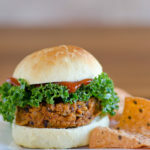 I would love to see more recipes that use chicken and turkey instead of the traditional beef or pork, both meats I have given up. I love quick easy dinner ideas. congrats on five years, Nikki! i always appreciate healthy recipes -particularly dessert recipes. i do not want to win a pastry mat or the food processor. thanks for the opportunity! I would love to see some meat and fish dishes. I am following you on Twitter as well. Congrats on 5 years!! I would love to see more quick dinners. I’m a busy mom of 2 with a part time job and a cake business and I try to avoid eating out on my busy days! Wow, congratulations on 5 years! That’s incredible! I always like getting ideas for snacks, especially healthier ones — since my husband always needs more food! I already have a silpat mat (which is wonderful) but don’t have the rest of the items. I would love some crock pot recipes that use frozen meat. Not sure I would know what to do with the fresh vanilla beans. I am a fan of the Pennies on a Platter Facebook page. I like Pennies On A Platter on FB! I’m a fan of yours on FB. So glad I found you yesterday. What recipes do you hope to see on Pennies on a Platter this year? I work so I would love some make ahead and freeze, thaw and bake chicken recipes. I already have a scale but I surely would love to win anything else. I would love to see more shrimp recipes! Frozen shrimp is relatively cheap, keeps in the freezer until you need it, is quick to cook and healthy! I would love ANY of the giveaway prizes! We have been trying to limit gluten and dairy, so I am always intrigued by recipes that sound good while still limiting these things! Also a fan on Facebook! I would like you to continue sharing yummy new cookie ideas. And I already have an awesome food scale. Thanks!! I shared a link on Twitter where I am TheHerbWay. I would like to see crockpot meals. I am in the navy andI recently moved back in the barracks , I no longer have a kitchen 🙁 devastating I know! But anyways I now have to find food to make with appliances that are not the stovetop or oven. So anything crockpot meals or microwave amazing ness (if there is even such a thing). I will take what I can get, starting off new with everything. Thank you and I love our blog! More one-pot weeknight meals. I like to try to find recipes that are simple and easy clean-up for the evenings after work. I already have the baking mat and pastry mat. Congratulations on your 5 year mark! I would like to see more healthy side dishes. Thank you for the opportunity to give our input and win prizes. I would love to see more crock pot recipes! I would love to see more quick and easy vegetarian meals — trying to cut out meat in our house. I already own a new food processor and a kitchen scale — love and use them both all the time, but I really hope I can win one of the other prizes! Thanks for a great giveaway, and happy 5th! I would just love to see more recipes! I love the ones you share, and can’t wait to see what else you come up with. I’d love to see some more vegetarian things! I’ve been following you for quite some time and love your blog! I’d love to see more quick and easy dinners. With a new baby on the way, I’m looking for easy and yummy! Thanks for the opportunity to win! You do such a great job anyways but I am always interested in slow cooker recipes. I would be happy to win any of the items, most espcially the kitchen-aid. Keep up the great work. I would love to see more dairy free or milk free recipes! Having food allergies is the pits, so I am always on the look out for healthy recipes I can enjoy! I am follow you on Facebook! Maybe some Indian dishes or other ethnic kinds of meals. Thanks for the giveaway! Already a mail subscriber to Pennies On A Platter! love love And a Facebook fan! And following on Twitter. I would love to see family-friendly, budget friendly dinner ideas. I am always searching for new dinners for my meal plans. I already have a silpat but would LOVE to win any of the other prizes. Thanks! Congratulations on 5 years! I am a fan of Pennies on a Platter on Facebook. I already have a silpat mat, but any of the other prizes would be wonderful. Thank you! I would love to see more healthy, kid friendly meals (not that you’re not doing that already haha). I’d like to see more recipes for healthy breads. I already have a scale and a silicone mat. I have subscribed to Pennies on a Platter on Facebook. Congratulations on this great accomplishment! I look forward to reading many more blog entries from you:) I’d love to see some more baby food entries being that I am a new Mom and we are moving into that realm now. Our little girl is loving this adventure, as are we! I love your blog, would love to see lots more pasta recipes and some fish recipes..but overall love the blog a lot…I could use that mixer having dreamt of it for so many years..Congrats upon 5 years, it has been wonderful reading and trying out your yummy recipes! best wishes for many more years of blogging and the yummy recipes!!!!!!!!!!!!!! I’d love to see more of what you do best – unique and delicious recipes and great tutorials! Thanks for the chance to win! I love your blog! I’d love to see more somewhat healthy desserts. 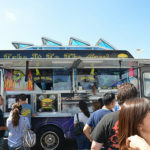 I would love to see a few meatless dishes! I am new to you, and thought any recipe on this site would be helpful. Already like what I see. Congrats on 5 years! I’d like to see more dessert recipes. Happy 5th anniversary, I love your blog! I would love to see more fish recipes. Fish is something I would like to try to eat more of. I would love to win nay of your fabulous prizes! I “like” the Pennies on a Platter Facebook page. I follow Pennies on a Platter on Twitter @mom22girlz. I would love to see a recipe for chocolate bread pudding. I would like to see quick go-to recipes that are tasty but not taxing after a long day at work. Happy 5th Anniversary, and many, many, more. I love simple one pot meals, that quick and easy. I already have a Silpat Baking Mat and Kitchen Scale, so I do not want to win those. I subscribe to Pennies on a Platter by RSS feed. I like Pennies on a Platter Facebook page. I follow Pennies on a Platter on Twitter. I would love to see more recipes using ground beef! My husband hates chicken so this is a go to meat for us. I subscribed to pennies on a platter by email! Honestly, I’d love to see more of the same. I get so many great recipes from your site! But if I could request something more specific I guess I’d say (mostly healthy) side dishes. I’m always looking for side dish inspiration! Looking for lots of desserts and vegetarian meals! Love your site! I subscribe to Pennies by email! I just started following, so don’t know what all you have done. I love new potato recipes and pasta dishes. I subscribed to pennies on a platter by rss feed. I would love to see crackers of any sort, that is my new thing that I really want to experiement with myself! Congratulations on 5 years! How exciting for you. I would love to see meals for Mondays. After a long day, something yummy and quick would be fantastic. I’m always looking for new ideas for my family. Any of the items you are giving away would be needed, appreciated and put to good use! And, I’m a Facebook fan! Recipes with little processed food ingredients. I would love to see more pasta dishes! I’d like to see quick and healthy week night meals. It’s tough getting dinner on the table after work sometimes! i love to see recipes that are quick and healthy dinners. it’s always hard to come up with new, easy recipes! I would like to see more recipes involving pork. Our daughter raises pigs for 4-H and they fill our freezer! I would love any of those items! And lots more quick and easy recipes! I’d love to see some recipes to get my husband to eat veggies, haha. They pretty much have to taste like fast food or be completely hidden. I subscribed via e-mail with bybreenah[at]gmail[dot]com. I am now following you on Twitter @bybreenah. Not sure why I wasn’t before, haha. Quick and easy. Not getting home from work until 5:30 means dinner sometimes comes along around 7. What would I like to see? More Pennies Originals! I love the idea of the individual chocolate bumpy cakes. Yum!! (The only thing I would not want to win is the Pastry Mat). I would love to see quick easy recipes or crock pot. Um, how about some recipes with fennel? I’m not quite sure what I want to do with it. Hey Sis-in-law! Can family win? LOL! Ohhhh the things I would love to do with that food processor! Anyway, I would like to see some gluten-free recipes! I know that sounds weird, but it seems to be healthier and less allergies 🙂 So proud of you and where you have taken the whole blogging and cooking! Authentic southern recipes would be great! I would love to see vegetarian recipes on Pennies on a Platter. I appreciate that you always include some. My favorite go-to recipe is your black bean cakes with corn salsa and avacado cream. I have made that at least 10 times since you’ve posted it! I would appreciate any of the prizes you’re giving away!! I’d love to see more crock-pot recipes! Love your blog! Congratulations on 5 years of blogging! I would love to see more recipes for different ways to prepare chicken (which is a favorite in my home)! Would also love to see some recipes for quick meals. Thanks for all the wonderful recipes you have shared so far! Congrats on five years! I’d love to see some lunch ideas for my kids. We’ve kind of fallen into the PB&J rut lately. I love your recipes….just keep using your imagination…it’s working just fine. I would love to see more recipes for different ways to prepare chicken(which is a favorite in my home)! Would also love to see some recipes for quick meals. I SUSBSCRIBE BY RSS FEED…THANK YOU. I LOVE this site and am so grateful for what you do and that I found this blog. It’s always exciting when I get a new recipe in my inbox, the personal anecdotes and insights into your life is just a bonus. I am not a great cook and just don’t have a good eye for creating delicious recipes, however, I do LOVE to cook for my family and hope to continually learn, grow, and improve. Something I really hope to learn from the blog in the year ahead is, although not necessarily a specific recipe, yummy, creative and affordable ways to make vegetable side dishes that are not the same old same ole that I make. I especially love using seasonal veggies out of my garden. Also, if you have any tips for making and using spaghetti squash. Thank you so much for all you do! Keep up the great work! I’d really like to see more vegetarian options- we eat meat sometimes but choose to eat vegetarian a lot mainly because it saves money! Thanks and congratulations of 5 years! I would love to see more whole grain recipes.thanks. 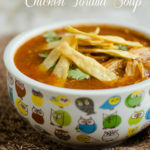 I would like to see more crockpot recipes, love your blog!! I am following you on twitter. thanks. I subscribe via RSS in my google reader. I would love to see healthy meals with weight watcher points plus. I tweeted about your giveaway. thanks. I would love to see anything with avocados or white cholate!! LOve!! Summer will be here before we know it…how about some really good pasta salads? I just subscribed via email…I love seeing new posts by you 🙂 Love your cajun chicken pasta! i subscribed by email, too! I would love to have more quick and inexpensive recipes to help with my budget. Thanks for the chance to enter. I would love some yummy recipes using quinoa or kale. They are so healthy, but I often get stumped when I need to come up with ways to use them. I would love see an easy, quick, healthy, yummy recipe. Easy, right? I would like to see breakfast recipes. I am relatively new to your blog and I love it. Thank you. I subscribe to Pennies on a Platter by RSS. I subsrcibe via google reader! love desserts! !… but how about some ‘lean’ yet still tasty diet-friendly anything. Tweet, tweet! I’m a twitter follower. I don’t have any preferences for recipes – I just love food! … So anything would be great. The above item that I would use the least would be the kitchen scale. I am terrible about measuring precisely and I think that it would just make me feel guilty about being a sloppy cook. I always gravitate toward quick and healthy dishes with some sweet treats now and then!! Happy anniversary. Just count me in for the Vanilla Beans. YUM!!!! I follow many, many cooking blogs but the other day I needed a recipe for a cookie cake (like the kind you get at the mall) and couldn’t find one! So I’m requesting a cookie cake. I actually love the recipes you post. I have several saved back to try. So I say “keep on keeping on”!! As far as I’m concerned you post a wide range of recipes that appeal to me. I need/want all of the things you are giving away, but I am especially coveting the food processor! I need more potluck dishes that don’t break the bank. Some tasty veggie recipes would be good too. Congratulations! I have loved reading your site and seeing it evolve. Please enter me in the giveaway (I would not want to win the kitchen scale fyi). I have only recently found your blog and I enjoy it very much. I have always wanted to learn how to bake homemade breads with out a bread machine. Those recipes would be wonderful. Congratulations on 5 years! Yay! 5 years, congrats! I would like to see vegetarian recipes and recipes using unprocessed foods. Congratulations on 5 years! I appreciate that your recipes and style are not so darn fancy and the ingredients are everyday things most of us can get. Keep it coming! I already have a lovely food processor of my own, so that’s the only one I wouldn’t want to win. Thank you! Just found your site (through a pinterest link). I think it is great. I would like to see more recipes for cakes and desserts (they are my weakness), having said that I think you have a wonderful selection of recipes available. Keep up the good work. I’d love to see more quick and easy dinners and more crock pot meals! More Tex Mex / Southwestern recipes, please!!!! I just liked your page on facebook! Hi! I’d love more breakfast ideas! And the only thing I’d like to be excluded from would be the King Author Baking Mat- I already have one 🙂 Thanks so much! Congratulations! Wishing you many more years of blogging! I’d like to see recipes for quick and easy main and side dishes that use basic meats, starches, and vegetables. Things that I probably have on hand and don’t have to go shopping for. I am a somewhat-new reader to your blog, and I love all of your recipes!! I actually stumbled across your blog when looking for a recipe for homemade tortillas (yours were a huge success!). I love any of your creations, so please keep them coming! I would like to see more soups and meatless meals. Congrats on 5 years! I really enjoy your posts, and your son is adorable! I would like to see some crockpot recipes, and maybe some more yeast breads. Thank you for the great giveaways. I already have a scale and silpat. I am subscribed via my google reader! How to frost a cake! I’d love to see more crock pot meals! I love your website, thank you! I hope to see more soup recipes! Congrats on the 5 year mark! You know I love your blog and I have used quite a few of your recipes. As far as a recipe that I would like to see is a spanish rice recipe. I have been on the hunt for a good, easy-ish recipe for a while and have had no luck. I like Pennies on a Platter on facebook! Congrats @penniesonaplatt Cheers to 5 years of blogging with a KitchenAid food processor giveaway! I a totally excited to be apart of the give away! I don’t have any of these kitchen toys! I love reading your blog! One of my goals for the next year is to get more creative with my proteins – we eat a lot of chicken! I’d love to hear your ideas for beef, pork, and fish. Thanks! So exiceted to try and win one of these kitchen toys! I have none of them! Congrats on your 5 yr anniversary to pennies on a platter! Would love to see quick and easy dinner recipes. Any prize but Not the vanilla beans. Thanks!! Follow on Facebook. Forgot on my last one…Not the kitchen scale either. Thanks! i subscribe and read you via my google reader! I just started following your blog this week on Google reader through pinterest…I love it!!! Thanks for the giveaway! I would like to see more loafs of bread. For instance focaccia or ciabatta, something I can serve with dinner. Family and coworkers LOVED the German cholcolate cake cookies. Keep sharing the great recipes. I’d love to see some quick weeknight dinners! I would love to see some healthy, low-sodium recipes. I’m definitely hoping to see more great variety this year, and I’m particularly interested in meat-free main dishes (not going vegetarian or anything, but I’m starting to think I just eat too much meat). These all look like great prizes! I follow you on Twitter. Congrats on 5 great years of your blog! And…I follow you on rss!! I would be very interested in all but the food scale and vanilla beans! Thanks. I liked you on facebook as well. I get excited to see any new recipe on your blog but I would especially like to see more baby/kid foods! Of course I’m a FB fan on POAP!!! I’d love to see more zucchini based recipes! I would love to see some more ethnic recipes. Maybe asking followers to submit some home recipes we grew up with. Like Hungarian, Slovenian, Italian etc. bakery. Yummmmmm. I know I have alot of handed down recipes. I am subscribed via email too…Oh I just realized Sunday the day your contest ends is my Birthday!! I love your blog! I love even more that you aren’t afraid to mention Christ and christianity in your posts. Thanks! I would love to see some recipes that deal with working moms or dads and quick meals to fix that don’t require many ingredients. Sometimes it is so hard to want to cook something after working all day. I need some quick recipes!! Thanks and keep up the good work! Congrats on 5 years! I just had our second child a month ago so I’d love to see quick (or make ahead) meals that are on the healthy side! I also subscribe to your blog via RSS feed (Google Reader). Thanks! I’d love to see more sweets recipes. I already have a kitchen scale and a food processor, although that food processor looks pretty sweet. Congrads on the anniversary! !Woot, Woot 5yrs!! I’d liked to see quick healthy family recipes. i subscribe on google reader! I would love to see more seafood recipes (especially for lent) a good shrimp scampi, recipes using scampi, shrimp gumbos and basic fish recipes. I love your site, thanks for making me a better cook then I really am! I love all your posts, just keep them coming and I’ll be happy! Well, my dear, I think I would love to see more “healthy” kind of recipes! I appreciate how you’ve slipped in those “black bean brownies” and bean patties, too…but the more, the better, even dessert types. That’s where I totally don’t have an imagination in trying to cook healthy, except, of course, to cut down the sugar. In any case, have fun giving away your wonderful prizes!!! One of my “young” friends told me today she considers you a celebrity and if/when you get to meet one day, she’ll ask for your autograph! i like ya’ll on facebook now! Congratulations on your five years’ annivesary! 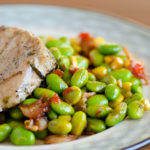 With spring and summer approaching, I’m looking for grilling recipes and healthy and yummy salads. I would love to see quick, easy, healthy and kid friendly foods. Would love to win any of the items, except the kitchen scale. Already have one! I’d love to see some more crock pot recipes, those are some of my favorites and I can never have too many. I would like to see more vegetarian recipes! I love reading your blog! I’d love to see more Cajun recipes. Something with a kick! Oh, definitely catfish recipes… now that you are a Mississippi girl! Wow, what a fabulous giveaway! I would love to win any of the above items!! Congrats on five amazing years of blogging! I would love to see even more cookie recipes on Pennies on a Platter this year (your cookie recipes NEVER disappoint!) Great job!!! I am always struggling for lunch ideas so I would love to see more on-th-go options for lunch. My husband doesn’t always have the option to reheat things, so healthy lunches are always something we need. And I don’t have any of those things! Excited for a chance to win! I would love some of those simple meals for nights when things just seem to crazy to cook anything even remotely elaborate! I’m subscribed to your RSS! I’m subscribed to your RSS feed! I would love to see more appetizers on your blog,but I can’t complain, everything you do is great! I would rather not win the vanilla beans because I already have a ton left over from making vanilla for christmas gifts,but thanks for the chance to win. I love quick and easy dinner recipes. I would love to see quick, kid friendly meals. I’m a busy mom of three and we are always running to soccer practice or games. I’ve tried lots of your recipes and get lots of compliments. Thanks for all that you share! I would love to see some kid-friendly recipes. Also, anything pumpkin never hurts! And I follow you’re blog via RSS feed. I am an email subscriber (found you when looking at Superbowl recipies and you make “fried pickles” Ate the pickles before I could make them! (Haha)). I don’t have a smartphone or twitter account so I can’t move forward with the rss feeds. I’d love to see an enchilade recipe that isn’t for 50 people. It would also be great to see any money saving tips you have when making meals not sure if that’s substitutions or just low cost meals. Do you ever accept ideas/recipes? I have a fool proof way to boil eggs – NO green – Works every time. Plus a stuffed squash recipe. Let me know. PS Congrats on 5 years. I’m just starting out on a blog. I’m looking forward to more meatless Monday posts! I follow you with an RSS feed! Slow cooker recipes- always trying to find recipes to start in the morning and finish after work! sorry about 2 posts. my first one said there was an error and to do it again. Probably some fish recipes. 🙂 I don’t need a food processor. I would love to see quick easy suppers/meals that I would be able to do with my children. All of the prizes look great and would be nice to try use! i would love some more pasta recipes. you can never have enough variations for pasta! I love everything in the giveaway. as for the prizes, i’d love any but the scale, which i already own! I like the recipes for foods (either dinner or sweets) where they include “normal” ingredients I am likely to have around. This helps when something strikes me during the day reading your blog and I can go home and make it right away–if I have to stop at the store, I am less likely to make it that day. That being said, I’ve found several recipes from you for which a special trip to the store was well worth it (sometimes just because I was out of butter or something, but still worth it!). I would like to see some recipes that are heart healthy and ways to sneak fruits/veggies into recipes that kids will not taste or see. I love this blog. Always a great recipe available! Seafood recipes! 🙂 I don’t need a food processor. Hi! I would love to win any of the giveaways you have!! I’ve been on a ground turkey and ground chicken kick lately, but I only use them for simple stuff like using turkey or chicken in place of beef for tacos and mixing it in pasta sauce.. Could you have a segment on ground chicken and what else I can make using ground chicken? I subscribed to the RSS Feed! Would love to see meatless dinner ideas for Meatless Monday at our house! Great Giveaway and would be happy with all of the items! Any lunch/dinner meals that can be made quickly but healthy as well. Or meals that you can make ahead of time and freezer friendly:) Happy 5 years!! I already have a Silpat mat but would love any one of the other giveaways! 🙂 Thanks. I’d love to see more meatless meals and even more freezer meals. I never win anything, so I’d be happy receiving any of the giveaways. Thanks for the opportunity! Happy 5th birthday to your wonderful blog. I absolutely love reading your blog! Your blog features such a broad array of recipes, and I enjoy the variety. Just keep the wonderful recipes and pictures coming. I already have silpat and pastry mat. I’d love to see tasty slow cooker meals or things that can be made quickly for dinner in the evenings. Congrats on your anniversary! Thanks for the fun giveaway. I’d love to see some crockpot recipes…I never use mine! Sorry for the weird double-post. I also subscribe to you blog via email. I liked your page on Facebook! So glad to find you on there – can’t wait to see the updates! Happy 5th birthday to your wonderful blog. I love your blog and look forward to your posts; not only do you have wonderful recipes but I enjoy the reading your stories and descriptions leading up to the actual recipe. I enjoy all of your recipes and posts, just keep all the good stuff coming! Awesome giveaway! I already have a pastry mat and silicone mat. Happy 5 years first off! I cannot wait to see what you come up with this next year as I’ve been following your blog the past few months and love it. I would love to see some healthy, quick dinner ideas whether it be stews, soups or whatever you come up with. I hope to see some Indian food on here this year! Congratulations on 5 years! I’m always on the lookout for great entrees – especially those that can be made ahead of time or “one pot” meals. I am now a fan on facebook! I am subscribed via email too! I would love to see more side dishes. I always have trouble deciding what to serve with entrees. I follow Pennies on a Platter on Google Reader. I’m a fan of Pennies on a Platter on facebook. Congrats on five years! I would like to see some fresh ideas for summer bbq’s. Maybe some good side dishes to take to a party? I wouldn’t like to win the silpat or the food scale. Already have those! Thanks! I would love to see recipes that would help in defeating this heat California is going to have. I have now subscribed via Facebook twitter and RSS. I love your recipes! I would love to see more of the same. I eat mostly vegetarian, so I love your baked goods and non-meat recipes. I would LOVE to see more cheap, vegetarian recipes. I am a dirt poor college student who is a pseudo-vegetarian (I can’t afford meat 😉 )! I wouldn’t want to win the King Arthur Pastry Mat. I already have something similar to it! Congratulations on the success of your blog. I enjoy reading it and trying all the new recipes. Keep up the awesome work! I would like to see a great recipe for carrot cake or strawberry cake. i know they don’t seem like exciting recipes but I am on the search for a good recipe for these cakes. I don’t need a silpat or vanilla beans. Thanks you! Congratulations of the success of your blog! I enjoy reading it and making your recipes. I would like to see a good recipe for carrot cake and strawberry cake. I don’t need the silpat or vanilla beans. I’d love to see a seafood paella recipe, or maybe a spinach and artichoke souffle! I would like to see a recipe using London Broil, a lean cut of beef, that can boost iron. It is a cut of beef that is tough to make tender. I know it is one of the healthier cuts of red meat. Any ideas? I just subscribed to Pennies On a Platter’s RSS feed! I retweeted about the giveaway on Twitter! I would like to see more bread-related recipes. I do not want to win the King Arthur Pastry mat or the vanilla beans, already have those. I am a fan of Pennies on a Platter in Facebook. Happy Anniversary! 🙂 For recipes I would love to see more quick and easy budget dinner meals. Unfortunately I don’t bake much anymore due to health reasons, so the only item that would be useful would be the food processor. Thank you for the opportunity. Follow you through RSS feed. Thanks again. Happy 5 years of blogging!! Love your blog and reading your recipes! I would like to see more fast recipe..less prep time and cook time!! But keep up the good work!! I just found you on facebook so I “liked” you there also!! I would love to see some breakfast recipes that can be made ahead and frozen. Specifically things kids like to eat! I would love to see more easy main course meals! I love all of the prizes! I’d love to see lots of soup recipes and “one-pan” dinner recipes. I would love to see some gluten free recipes. I love your blog and visit it a few times a week! Your puffy chocolate chip cookies are my husbands favorite. I would love to see some low-fat recipes this year! Wow all the prizes are great! A food processor is on my wish list I keep hinting to my Honey. I’m loving all the recipes so far just found your blog a month ago. Have a blessed day and thanks for the chance to win! Healthy quick dinners. We’re trying to eat better and every little bit helps! (I’d love to be put in the hat for the food processor or scale, both things I don’t have and keep putting off buying.) Love you blog and congrats on your anniversary! i would love to see some recipes on using home grown produce, or recipes for kids! congrats on the five yrs! I can’t wait to see more of the kinds of foods you already post! I really enjoyed the party recap posts. I already have silpats and a scale.